Is JavaFX 2.0 Cross Platform? For months and months we’ve been focused solely on the mechanics of building a platform — API design, writing tests, fixing bugs, use cases, features, documentation etc — and with the release of the beta the #1 question on everyone’s mind is, “Is JavaFX 2.0 cross platform?!”. That the beta is initially a windows-only beta has apparently stirred up a fair amount of concern. Shockingly, some people have even asked whether we ever intend to be cross platform. I can say definitively “Yes, of course!”. It would be quite illogical for any platform released by the Java team to not be cross platform. And even more so for the Java team to release a platform which had no intention of being cross platform while also purporting that the said platform was to be the next generation Java rich client platform. We absolutely will be targeting a whole host of different platforms, not even just the big three (Mac, Linux, Windows). The value of the Java platform is in the fact that you can write across multiple operating systems and devices. 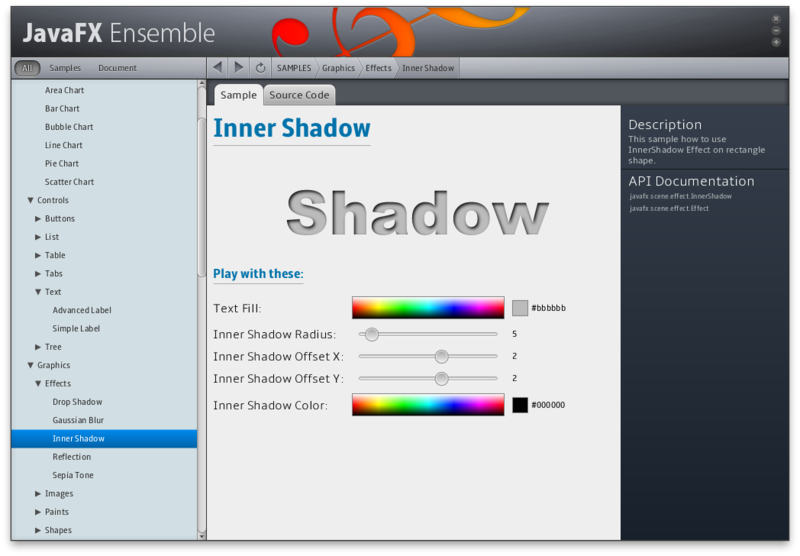 JavaFX will be cross platform. JavaFX 2.0 Beta is Available! Great news today, the public Beta for JavaFX 2.0 has been released! 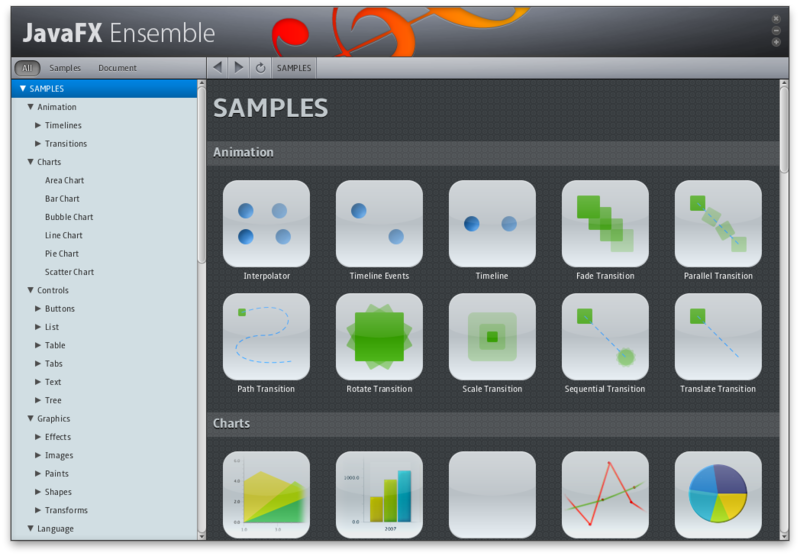 The beta includes a handful of samples, including Ensemble which is the sampler for JavaFX and will be beefed up over time to include tips and tricks and other such things. 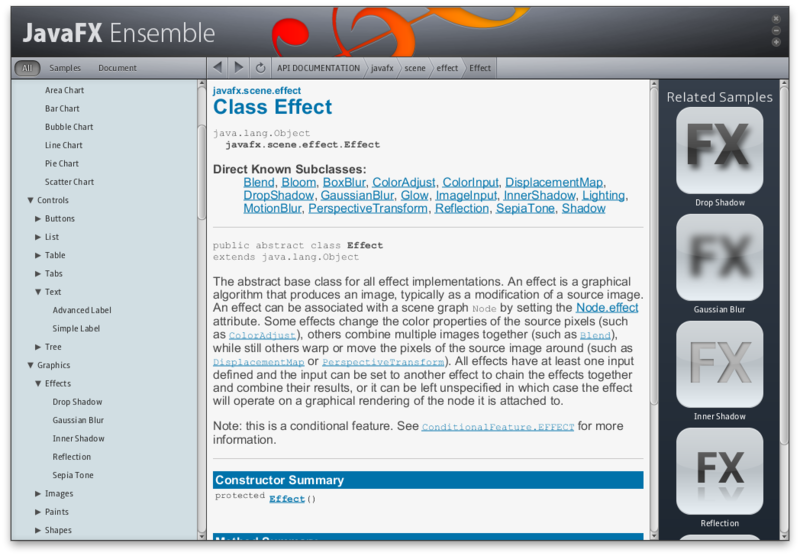 There is also javadoc (though, beware, there are still JavaFX Script examples. The docs for new code is better than old code). If you find bugs, submit them to the JavaFX JIRA bug tracker. There is a lot of great stuff in this release, including binding, observable collections, sortable and filterable observable lists, many more UI controls, enhanced animation support including for game loops (AnimationTimer), properties (observable! ), and more. There are a few things we’re still adding (including some important things! ), but for the most part, the features are all there and functional, so go try them out! Please do file bugs, write blogs, and let us know what you think of the APIs. Things are definitely more verbose in Java than they were in JavaFX Script, though in large part this will be solved with lambda’s in Java 8. Especially, if you have use cases that our APIs prohibit (as opposed to API we just need to add) please please please! file these in JIRA! The reason we’ve released the beta is to get exactly this kind of feedback. API is forever, so all the feedback you have on the API please file, and the sooner the better!